The handicraft market that you come across in Hyderabad is diverse. It ranges from bidriware with exquisite silver inlays to stunning pearl jewellery and varied wooden carvings of deities. Wherever you go in this fascinating city, you will come across a whole gamut of extraordinary handicraft exhibits. These artisan crafts have been the tradition for many centuries now and the art has been passed down several generations, within families. People love to take a culture trip in Hyderabad as they like to learn about the techniques involved behind these handicrafts and learn about the places where they can buy traditional artworks. Hyderabad offers a vast range of handicrafts including – Bidriware, Lacquerware, Kalamkari Paintings, Silver Filigree, and Pearls. Kalamkari Paintings – Kalamkari is a textile work which involves printing on cotton textiles. This type of printing is done either by hand or with the help of wooden blocks. The ink is created from bamboo which gets soaked in water and jaggery and this ink is used for drawing the contours on the textiles. The colours are derived from natural and vegetable dyes. After the colours are applied on textiles and allowed to dry, the fabrics are washed. This results in beautiful and vivid paintings that are used for several cloth surfaces in a decorative way. Mostly, this kind of handicraft is seen on sarees. 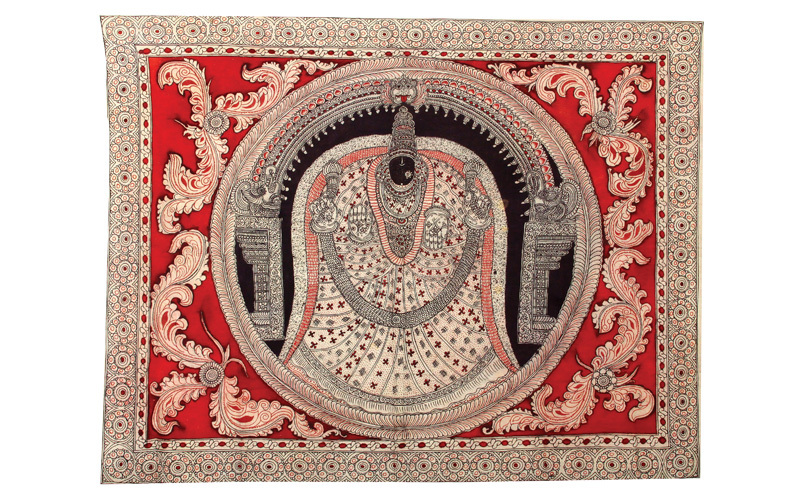 Kalamkari paintings could also be bought in any of the numerous handicrafts shops in Hyderabad. Bidriware – This is a craft that originated in Bidar in Karnataka, not far away from Hyderabad, more than four centuries ago. 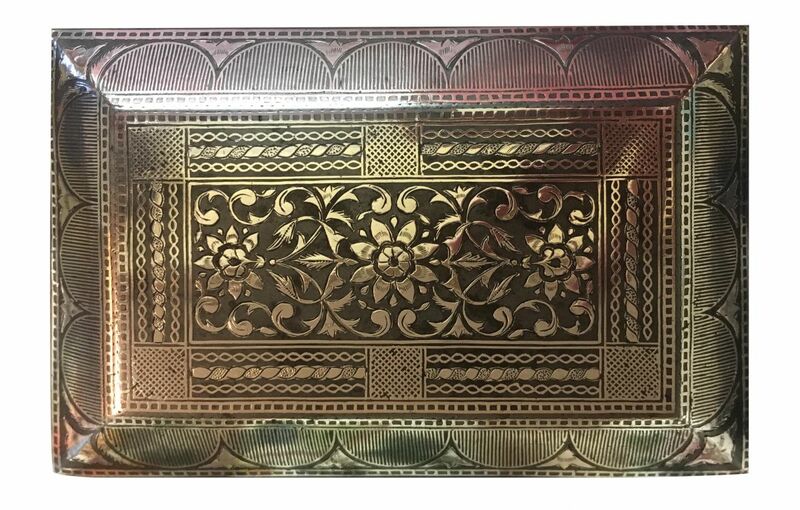 It is a unique kind of metalwork that involves a technique of inlaying silver within an alloy which gets blackened with the mix of copper and zinc. The effect brought about by such contrasting colours is extremely striking. This form of handicraft has its origin in Persia but the use of zinc and Bidri soil is a purely Indian concept. There are many workshops in Hyderabad for people to see how bidriware is given shape by talented artisans. It is available in many handicrafts shops in the city. Lacquerware – This handicraft involves the use of Lac which is a gummy deposit obtained from bark insects. Lac is mostly used to decorate Papier-Mache or wooden objects. Its ornamental work is made up of several techniques that include fire work, cloud work, tin foil decorations, and pattern work. Great specimens of Lacquerware can be seen in many handicraft shops all over Hyderabad like Lepakshi, Mangalam, and Golkonda Handicrafts Emporium and several handicrafts shops of Charminar market. People queue up even at the Salar Jung Museum to see fine specimens of Lacquerware. Silver Filigree – This is precise and exquisite jewellery made off metal which involves soldering of several threads of precious metals (mostly silver). The end result makes the jewellery resemble a metallic lace. Artisans in Hyderabad have been churning out amazing pieces of silver filigree for centuries now. Shoppers may come across everyday jewellery of the wearable kind besides finding decorative material, jars, boxes and trays and various other utility options and standalone items of art. The Qutb Shahi Dynasty and the Nizams of Hyderabad were very fond of silver filigree and they did commission many items for their personal use and collections. Pearls – Hyderabad is regarded as a foremost producer of pearl jewellery. 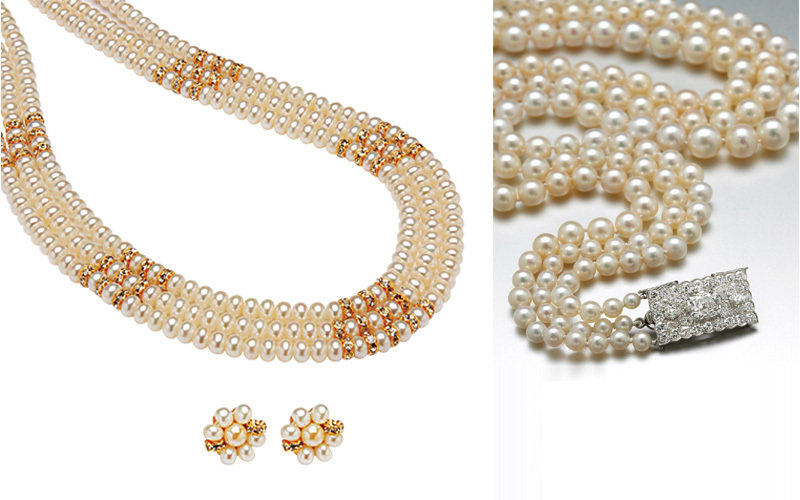 Pearl necklaces from Hyderabad are considered among the finest anywhere in the world. Cultured pearls are actually imported from China and Japan. They are then processed and sent for refinement. This city has become famous for both grading and drilling of pearls. These are extremely difficult kinds of processes that need a great deal of precision and skill from the artisans working on them. In Hyderabad, the hub of the pearl jewellery market is Laad Bazaar near Charminar. Other reliable stores are Jagadamba Pearls and Mangatrai Pearls.